Control your access for your business or home to ensure quality verification. Access Control is where you want to restrict access to a certain area at certain times or from certain people. They are very common in businesses or complexes where there are multiple tenants. They are also common in large businesses where certain employees may need access to a certain part of the building but not another part. Some 24 hour gyms use them as well as clubhouses in apartment complexes. 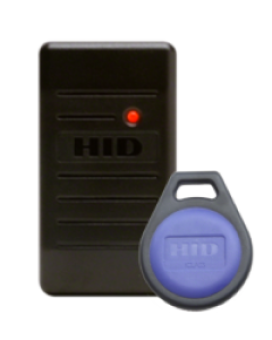 There are usually accessed with a proximity card or a proximity fob. All businesses are aware of some security concerns. Every business has a lock so that when the business is closed it is protected from the general public. Some businesses give keys to certain employees as they need access. Eventually employees quit or are fired and then it can be annoying and expensive to change the locks in the businesses. Especially if your business has high turnover. You or your business may benefit from an access control system if you answer yes to any of the questions below. Has an employee ever left without locking up? Is a lost or stolen key an immediate security threat to your business? Do different employees or people need different access privileges? Would you want to restrict or allow access on certain days or times but not on others? Do you want to know each time an employee or person arrives or leaves? Could my building be more secure? Access Control Systems come in all shapes and sizes just like people. A small business might only need one door on a card access system while some larger businesses may need dozens. 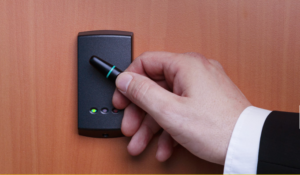 These are some of the benefits of having an access control system. You NEVER Have to Change the Locks or Rekey– An electronic user database means that you never have to change locks at your sites. 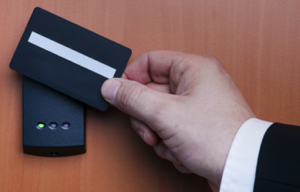 If a keycard is ever lost, it can be immediately removed from the database and a new one can be issued. If an employee leaves your company, his or her access rights can be deleted within seconds. This greatly lowers your overall exposure to risk. Most popular options include cloud management so you can edit permissions and control doors from your smart phone. They have low monthly rates on a per door basis.